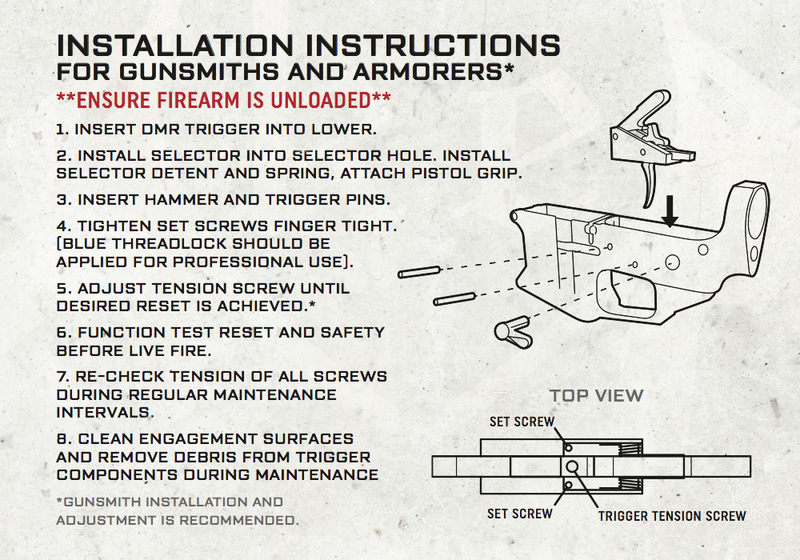 *KE Arms recommends that your drop-in style trigger be installed and adjusted by a professional gunsmith. Having trouble installing your KE Arms DMR trigger into a lower made by other manufacturers? The DMR trigger is design to be compatible with a mil-spec lower. 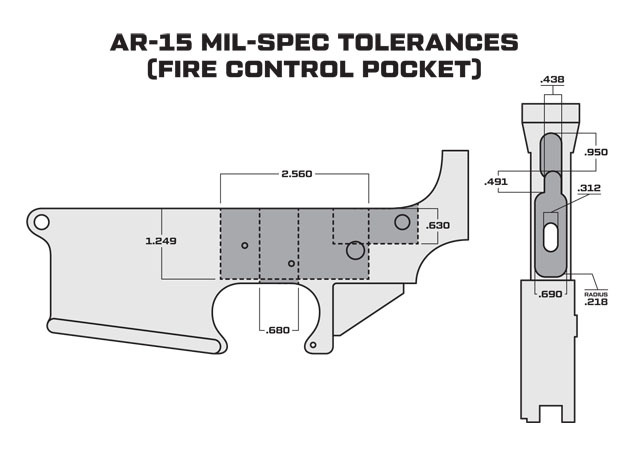 Make sure your lower is machined to mil-spec tolerances using the above diagram.